If you haven't read the first article, click here to view it. So, you accepted the internship offer, signed the paperwork and you start this Monday, awesome! But, then a bit of anxiety and nervousness kicks in because you realize you’ll be in a new company filled with new people and you'll have a lot of responsibilities to manage. Don’t stress out, it’s okay to be nervous. Below are some tips and to help you prepare for your internship and soon your anxiety and nervousness will turn into eagerness and excitement! The night before your first day, set two alarm clocks and get a solid 7-8 hours of sleep. Dress the same way you did to your in-person interview (if you didn’t have an in-person interview, dress on the more conservative side– you can always take your tie or jacket off when you arrive) and eat a healthy breakfast. It’s always good to pack lunch and remember to bring a notebook and a pen or pencil. Aim to get to your job 15-20 minutes early, you’ll usually have to spend some time with security checking in and getting your work ID. Afterwards, you usually spend some time with HR filling out paperwork and then with IT to set up your computer. Sending time with security getting my badge ID and printing pass. Your first day will be spent exploring the company and being introduced to employees. Remember to smile, give a firm handshake, and introduce yourself. Carry a notebook and pen everywhere you go so you can write down everyone’s name and position. Carry a notebook everywhere you go so you can always jot down notes. Your supervisor will likely treat you to lunch your first day so jot down any question you have about the company or internship in your notebook beforehand. For lunch, avoid getting messy foods like spaghetti, ribs, or wings. Also, don’t chew with your mouth open or talk with your mouth fill. During the first few days, you’ll spend time meeting with members of your team to learn new work skills. This could be anything from learning AutoCAD to Photoshop to SAP. Pay attention and take notes, also this is the time to ask questions. Asking questions about how to use Photoshop the first week is better than asking two months into the internship. To learn more about the company’s mission and history, I’d recommend reading books or articles written by your company’s founder or CEO. Books by Discovery's founder and SAP's CEO. Since you’ve been carrying your notebook everywhere and taking notes, you should feel comfortable in your position. At this point, feel free to ask your supervisor if they need help on any projects or new assignments. The goal of your internship should be to learn as much as possible, not breeze through it. Halfway through your internship, you’ll likely have a meeting with your supervisor (if not, ask if you can set one up) to discuss your performance, projects and progress on the goals of the internship. Whenever you receive feedback or criticism, don’t take it negatively. Performance reviews help you identify areas of improvement you may or may not be aware of; improve on these areas and you’ll become a more qualified and skilled individual. Throughout your internship, if you receive emails from HR about intern network events, try to attend as many as possible. It’s a great way to meet new people, make friends and learn about different departments and positions from interns working in various positions in the company. Intern events at Discovery were always fun. Although you may be nearing the end of your internship, there is still plenty of work to be done both literally and figuratively. For starters, don’t start coming in late or slacking on assignments. You want to finish strong and leave the company on a positive note. If you’re interested in other roles or departments within the company, ask your supervisor if they can introduce you to other employees. After the introduction, it’s up to you to email them and ask for 15 minutes of their time to discuss their position. At Penguin Random House, I said I was interested in the different areas of marketing and my supervisor introduced me to four different individuals within the company. It was a great networking and learning experience! Towards your last week, you’ll most likely meet with your supervisor for a final review of the internship. Again, view all criticism and feedback in a positive light. You’ll also be asked to give feedback on what the company did or didn’t do well. If you’re looking for a full-time position with the company, this is the time to discuss it with your boss. 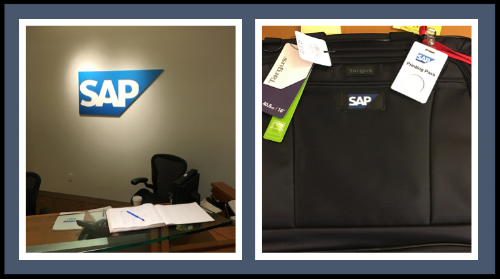 On your last day return all company equipment and make sure you don’t leave any personal belongings in the office. If possible, thank all the employees that taught and guided you during your internship. It’s also nice to write a thank you email to your team. It doesn't have to be multiple paragraphs. Keep it short and sweet. Also, add your personal contact information in case anyone needs to get in-touch with you. The last day is always bittersweet, but remember, as one door closes, a new one opens! I hope this article helps you succeed in your internship. 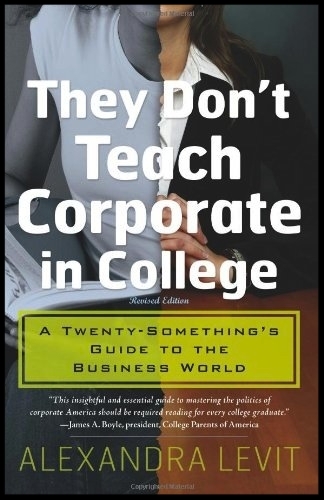 For more advice, I’d recommend reading the book They Don’t Teach Corporate In College by Alexandra Levit. Click here to view the book. P.S. If any of my co-workers or supervisors are reading this, thank you for believing in me and taking me on as your intern! Newer Post7 Lessons from "The Emperor's Handbook"
Older Post5 Business Lessons from "Zero to One"